If you’re currently taking drugs for your inflammation, then you need to read this article. First things first – chronic inflammation doesn’t need to be your enemy. That is, as long as you know how to properly deal with it. Chronic inflammation is the root cause of almost every disease and illness known to man. This includes (but is not limited to) arthritis, irritable bowel syndrome, Chron’s disease, ulcerative colitis, autoimmune disease, asthma, acne, diabetes, cancer, heart disease, osteoarthritis, rheumatoid arthritis and Alzheimer’s disease. By making slight shifts in your lifestyle, supplementing with anti-inflammatory herbs, and removing inflammatory foods like gluten, meat, eggs, dairy, refined sugar and margarine, you’ll experience less pain, gain more energy and improve your moods. 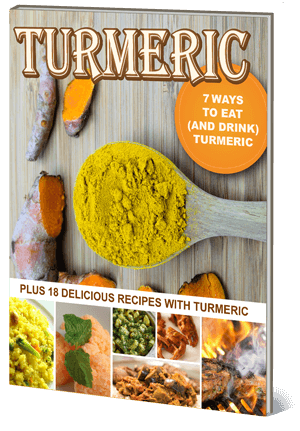 Turmeric is one of the best natural anti-inflammatory herbs known to man. Curcumin (the active ingredient in turmeric) acts by scavenging free oxygen radicals in the body, which are implicated in inflammation. It has been traditionally used as a remedy for inflammatory conditions like arthritis, osteoarthritis, and rheumatoid arthritis. Research has found turmeric to be as effective as popular pharmaceutical anti-inflammatory drugs like Ibuprofen, Motrin and hydrocortisone. This medicinal herb helps aid in digestion and possesses anti-inflammatory properties that have been traditionally used in parts of India for centuries. It is one of the best sources of chlorophyll, which inhibits inflammation and TNF-α gene expression (a pro-inflammatory cytokine). Cilantro is also great for balancing hormones and ridding the body of heavy metals. Parsley contains up to 54% of your RDA of vitamin C in just 1/2 a cup! What does this mean? Vitamin C is a powerful anti-inflammatory agent and helps provide relief in those suffering from osteoarthritis and rheumatoid arthritis. It also contains a volatile oil, eugenol, that has been shown in studies to possess strong anti-inflammatory properties. Ginger is an excellent anti-inflammatory. It contains compounds called gingerols that offer free-radical protection and inhibit nitric oxide production (which normally form damaging free radicals that trigger the inflammatory response). In a study conducted on patients with osteoarthritis of the knee, those received ginger extract reported significantly less knee pain on standing when compared to patients receiving a placebo. Another herb with the compound eugenol, basil makes a great pain-relieving supplement. Eugenol works by blocking the activity of an enzyme in the body called cyclooxygenase (COX). This same enzyme is the one targeted by standard over-the-counter pain medications like aspirin and ibuprofen. The eugenol in basil makes it a great remedy for people suffering from inflammatory bowel conditions or arthritis. This tiny herb contains beta-caryophyllin (E-BCP), a substance that halts inflammation in the body and could be useful for osteoporosis, Chron’s disease, and atherosclerosis. You might have heard of oil of oregano – this stuff can be applied topically to help relieve pain associated with bruises, sprains, carpal tunnel syndrome or tendonitis. Cinnamon has been studied extensively for its anti-inflammatory benefits. It rapidly induces the expression of tristetraprolin, an anti-inflammatory protein and potential therapeutic target for the treatment of inflammatory-related diseases. It also tastes amazing, and can be added to smoothies with bananas, dates, and ginger to create a smoothie that tastes just like a ginger snap cookie! Cloves are also high in eugenol, and studies have found that this spice inhibits the 5-Lipoxygenase enzyme, which is the key enzyme in the biosynthetic pathway of leukotrienes (inflammatory mediators that are involved in the pathophysiology of allergic and inflammatory disorders like arthritis, inflammatory bowel disease, psoriasis, and allergic rhinitis). I like to grind my cloves in a coffee grinder, and then add to smoothies or raw pumpkin pies in fall. Aside from being high in calcium, dill is a great anti-inflammatory. In one tissue culture study, they found that dill inhibited white blood cells from releasing cytokines (inflammation-promoting molecules). Dill is also considered a “chemoprotective” food, as it helps neutralize carcinogens we acquire from our environment and food. Sage contains an active ingredient called rosmarinic acid, which is also (not surprisingly) found in rosemary. Rosmarinic acid inhibits the inflammatory response by altering concentrations of inflammatory messaging molecules like leukotriene B4. Sage is a great seasoning for those suffering from inflammatory conditions like arthritis, bronchial asthma, and atherosclerosis. Arugula contains special chemical compounds called isothiocyanates and indole-3-carbinol, which possess anti-inflammatory, anti-carcinogenic and anti-proliferative properties. They both suppress the production of inflammatory mediators, and reduce the aches and pains associated with chronic inflammation. I love adding arugula to my salads – I sometimes just eat it straight out of the box on its own! The most important chemical compound in allspice is no other than eugenol. As stated previously in this article, eugenol possesses strong antioxidant and anti-inflammatory activity. It has an inhibitory effect on COX-2 production (inflammatory markers), as well as NF-KB pathway activation, which are characteristics for inflammation. Fenugreek, aside from tasting amazing in raw vegan sauces, dips and spreads, is known in Traditional Chinese Medicine to break up stuck energies and cool inflammation. It possesses anti-oxidative effects, which relieve inflammation and helps get rid of inflammatory-related skin issues. It also assists in lowering blood sugar in diabetics. Mint, aside from being great for digestion, works wonders for relieving inflammation. A cup of mint tea could even be as effective as an aspirin for pain relief, according to scientists. Mint is also cooling, and works great topically for bruises, swelling or sprains (the cooling sensation takes effect immediately – give it a try! I like to use peppermint essential oil if I ever get a bruise or sprain). Although rosemary isn’t as effective as turmeric or ginger, that doesn’t mean it can’t help fight pain! The active compound in rosemary called carnosol helps target multiple deregulated pathways associated with inflammation and cancer. It suppresses nitric oxide production (produced during inflammation) by inhibiting the nuclear factor-kB activation, thus providing it with beneficial anti-inflammatory properties.